Are you shopping for a new mid-size sedan that features a spacious and well-appointed cabin? Then you need to explore the new Toyota Camry! Toyota's Camry is not only spacious and feature-rich, but it is also highly fuel-efficient, making it a great car for your commute or as a family vehicle. With so many reasons to drive a Camry, it is no wonder that it has been the top-selling mid-size sedan in America for so many years! Freedom Toyota proudly serves Hamburg, PA and beyond as one of the area's authorized Toyota dealerships. We invite nearby car shoppers to visit our Hamburg, PA showroom to test drive the stylish new Camry. 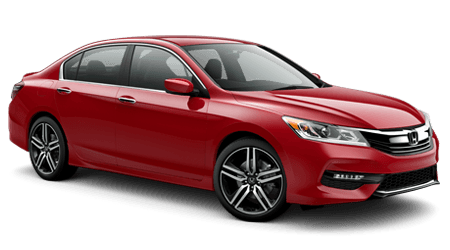 Let's see how the Toyota Camry compares to one of its main rivals in the ultra-competitive mid-size sedan market, the Honda Accord. Mid-size sedans are meant to be versatile enough to be your daily driver, whether that involves a commute, bringing the kids to soccer practice, running errands, or a long weekend road trip. With the Toyota Camry, you get spacious seating for all five passengers, including generous rear legroom which your back seat passengers will certainly appreciate. In contrast, Honda's Accord offers less rear legroom, which will make the Honda feel a bit more cramped when adults are in the back seat -- or when a long drive is involved. When you are ready to get behind the wheel of Toyota's popular mid-size sedan near Hamburg, PA, visit Freedom Toyota. If you can't make it down to our dealership lot right away, then feel free to browse our current inventory of Toyota Camry sedans here on our website, at your convenience. You can also get pre-approved for your new car loan as you shop online.